This organic artisanal wine comes from small producers near Modena, and it’s so unique that only few thousands bottle of this variety are produced per year. It’s made by the Grasparossa di Castelvetro Lambrusco grapes with the addition of 5% of Cabernet grapes. The outstanding quality of this red sparkling wine will delight your senses with its bouquet that reminds of red fruits blueberries and a scent of violet flowers, leaving a delicate fruity and dry aftertaste. Best served to accompany cold cuts and mature meats, due to its acidity that best fits with those tastes, but also great with rich seasoned pasta, such the typical products of the Emilian region like Lasagne, tortellini and Tagliatelle with Bolognese sauce. The perfect serving is as aperitif, along with some Parmesan shavings, mildly chilled it won’t disappoint even the most hard to please palate. Samples and discounts available for wholesale buyer please Enquire. 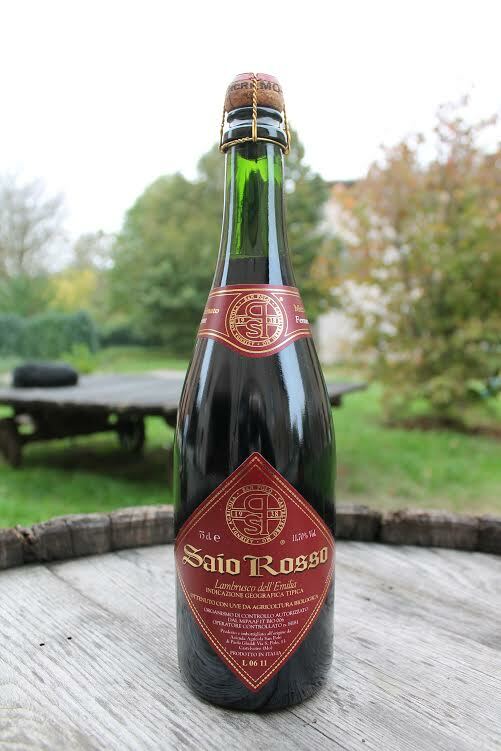 Be the first to review “Saio Rosso Organic Lambrusco Grasparossa” Click here to cancel reply.